At Vaughn prison and elsewhere, we should demand transparency and stand with the inmates who dare to affirm their humanity. Yesterday, scores of men in Delaware’s largest prison, the Vaughn Correctional Center, took over one of the buildings in their facility. The prison, built in 1971 and known for its serious overuse of solitary confinement, is one of the state’s most severely overcrowded and punitive facilities. We’re trying to explain the reasons for doing what we’re doing. Donald Trump. Everything that he did. All the things that he’s doing now. We know that the institution is going to change for the worse. We know the institution is going to change for the worse. We got demands that you need to pay attention to, that you need to listen to and you need to let them know. Education, we want education first and foremost. We want a rehabilitation program that works for everybody. We want the money to be allocated so we can know exactly what is going on in the prison, the budget. Over the next few hours, the men in Vaughn released all but two of the hostages and let nineteen prisoners who wanted to, leave the building as well. Meanwhile, law enforcement had begun amassing outside of the prison. At dawn, the police stormed the facility. By 7 AM, the ground outside the prison was littered with prisoners laying facedown on the concrete with their hands behind their back. One of the hostages was on her way to the hospital. Tragically, the other was dead. That’s all we really know. Reliant on information funneled straight through the prison officials’ PR machine, and with no access to the men inside, we have no idea what the fallout from this rebellion is or might be. This lack of transparency is typical — and it has terrible consequences. The history of prison rebellions in this country shows we should be very cautious when we have to depend on state officials to tell us what happened, or is still happening, in any penal facility experiencing unrest. But there’s plenty of reason to doubt the guards’ account of the unrest and their subsequent actions, just as there are reasons to be very worried about what’s happening to the men at Vaughn right now. Again, Attica is instructive. Forty-six years ago, Attica was the site of one of the most dramatic prison uprisings in American history. On September 9, 1971, nearly 1,300 men rose up in protest against the prison’s awful conditions. But rather than recognize the cause of the crisis, and work to address it, the State of New York sent in hundreds of troopers, who severely shot 128 men and killed 39 — prisoners and prison guards alike. Today, in prisons across the country, the conditions that sparked the Attica uprising are even worse. Prisons are more overcrowded. Food rations are meager and, since meal services are often contracted out to for-profit companies, that food is sometimes spoiled and rotten. Medical care is substandard and, again thanks to privatization, is often legally negligent. Prisoners are kept for long periods of time in solitary confinement and face serious physical abuse — often accompanied by racial epithets and threats — from officers who already retain utter control over them. So when we hear prisoners are on lockdown for fighting — rather than for revolting against deplorable living conditions — or when we witness another forcible retaking of a penal facility, we should be both skeptical and concerned. Correction officials have a history of painting prisoners as violent thugs and insisting that authorities’ only aim is to restore order and safety for all. At Attica, prison officials have a long and well-documented track record of lying about the men in their charge and literally torturing those who dare to rebel. It isn’t simply Attica’s history that should make us concerned about what might be transpiring now at Vaughn. Just this past September, on the forty-fifth anniversary of the Attica rebellion, prisoners throughout the US went on strike against forced prison labor and the terrible conditions in which they live. Not surprisingly, corrections officials once again tried to spin this unrest by stressing the illegitimacy of the prisoners’ actions: these were but violent criminals who had gone on a rampage, and they would be dealt with accordingly. The men and women in these facilities relay a very different story. Thanks to the efforts of several family members of prisoners — as well as a local organization called Michigan Abolition and Prisoner Solidarity (MAPS) — we have a much clearer picture of what transpired at one prison in particular: Michigan’s Kinross Correctional Facility. For starters, we now know that before the men in Kinross launched a formal work stoppage, they had made several attempts to peacefully convey their demand for more humane living conditions. Increasingly in despair over their situation, prisoners chose block representatives to bring their grievances to the administration. But when they did, several prisoners report, guards destroyed their meager personal possessions and moved them to another facility. The men then tried to press their concerns through a series of peaceful demonstrations of unity. “Everyone stood in front of their perspective units for the last 30 min of afternoon yard,” another Kinross prisoner wrote, describing one such action. “It was to let KCF administration know that we were fed up and things had to change.” Still nothing changed. So they planned a strike for September 9. Their hope? That a broader nonviolent action might attract the public’s attention and perhaps, finally, win them some improvements. According to numerous letters, the strike went off peacefully, both when the men refused to show up to work on September 9, and the next day when they amassed in the yard and met with administrators. Prison administrators promised to address at least some of the grievances they voiced that day, and the prisoners agreed to return to their cells. But after they did so, the prisoners were rushed by a heavily armed Emergency Response Team (at a state expense of nearly a million dollars). Chaos and terror ensued. Prisoners were tear gassed and made to stand for hours outside in the freezing rain, and prison property was destroyed. Those on the outside never heard these stories. Instead, they were assured that order was being restored and steps were being taken to ensure the safety of staff and inmates alike. The troublemakers who had caused the “riot” would be moved into segregation, where they would face charges for what they had done. All would soon be well again. But all, according to scores of Kinross’s prisoners, is hardly well. While even prison officials concede that, as one prisoner noted, “It was nothing but property damage,” these men have suffered severe retaliation. They put me in unit 5 in the observation cell 125. The cell was a mess. The cell smelled like urine and feces, the toilet hadn’t been flushed in over two months the floor was sticky and unbearable. The toilet had been stained from all the waste in it . . . Over time I cleaned the place up, but the stain in the toilet bowl is there for life. After 70 days of people watching me use the toilet they finally moved me down the hall from where I was. From Attica in 1971 to Kinross in 2016 to Vaughn in 2017, our nation’s prisons are the picture of barbarity. Prisoners are beaten, degraded, starved, and treated as less than human. They effectively lose their right to due process, and have no protection from cruel and unusual punishment. But according to the human beings locked in this prison and others across the country, the real issue remains one of overcrowding and abuse. 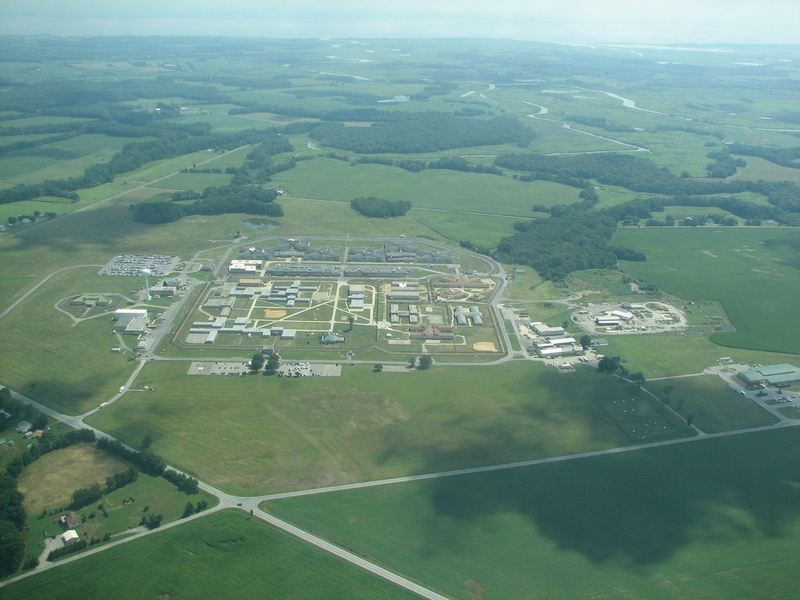 At Vaughn Correctional Center, inmates have complained for years about their prison environment. While state officials and the prison guard union would prefer to keep those conditions hidden behind the prison walls, it’s up to us to demand transparency and stand with the prisoners daring to affirm their humanity. Heather Ann Thompson is a historian and the Pulitzer Prize-winning author of Blood in the Water: the Attica Prison Uprising of 1971 and its Legacy and Whose Detroit? Politics, Labor, and Race in a Modern American City . She is on faculty at the University of Michigan, Ann Arbor.